MARCO POLO MANILA: Fantastic Buffet at CUCINA. Variety is as important as being economical in a BUFFET. That is why MARCO POLO MANILA has made it a point to make our tummies happy and give in to our requests. 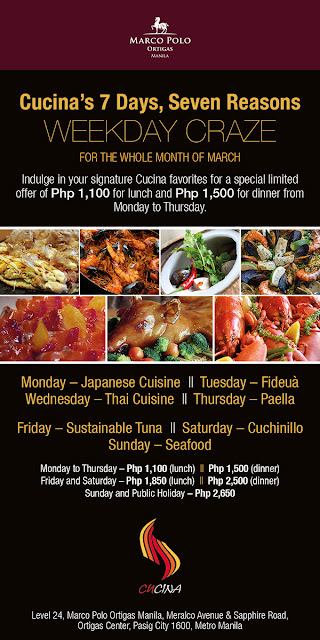 Get amazing value for our money when you dine in CUCINA for the month of March. Enter CUCINA. The all day buffet restaurant of MARCO POLO ORTIGAS. Very chic and modern, CUCINA is every foodies' heaven. 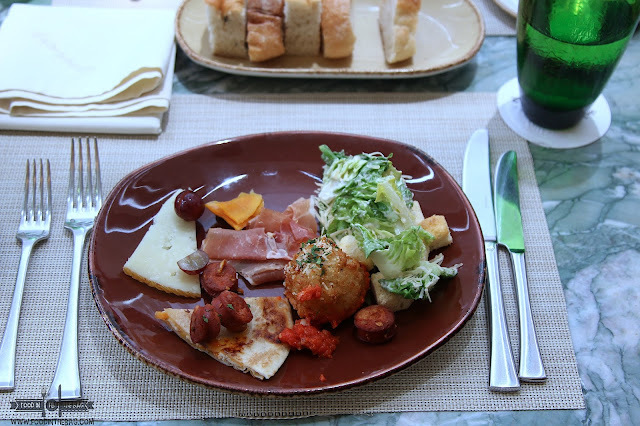 Not as huge as other hotel buffets, CUCINA gives off that delicious and relaxing vibe. The dishes are done extremely well and you would love each one of them. For that day, the main theme was PAELLA'S. Here, they served 7 different kinds of such. From Fidua to seafood and other versions. and a couple were even cooked right there and then. Talk about interactive. and they serve them in small dishes like this. Of course, the carving station is also important. Here they served a cochinillo. and even some roast beef. Seafood lovers would enjoy the line up too as they have fresh seafood that you could have cooked in your choosing. and you could get some fish loving from a huge fish like this. They also have a Japanese Section for your maki and sushi needs. If that isn't enough they have a pasta section. Chinese, Filipino and Indian section too. Just to have something different, you could pace yourself and have some cheese and cured meats. BUT FOR ME, the best part of the buffet is the dessert. Surprisingly, the dessert from Marco Polo is delicious. Most often times than not, dessert from other buffet places aren't as great as other parts of the lineup but here everything were delicious. This moist chocolate cake is just wow. Salad for a healthy me. Thank you very much MARCO POLO ORTIGAS for making our tummies and our wallets happy! MARCO POLO MANILA in Ortigas has made it easier for diners to return to their all day Buffet Restaurant by having it more affordable to the public. 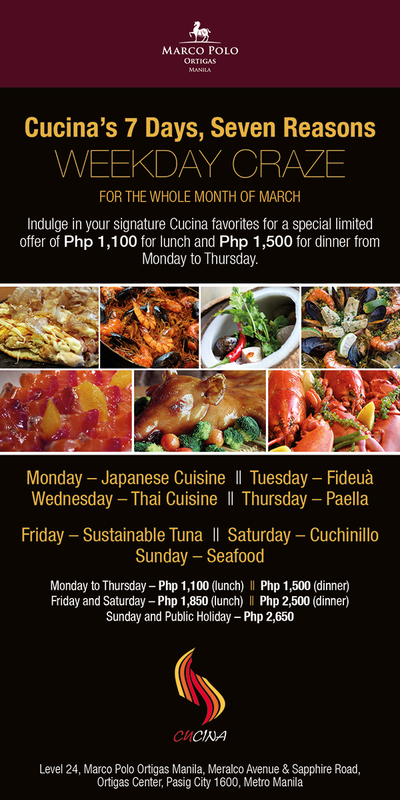 From Monday to Thursday, the buffet is pegged at 1,100 Php nett for lunch and 1,500 Php nett for dinner. By having different themes for each day, more choices are given. Perfect. Disclaimer: wrote this based on my experience. Was invited to try out the new buffet. Enjoyed tremendously. Last pic is not mine. Wow, so at first i didn't get entice with the lechon but when i saw the seafood, the sweets and maki, i'm like! this is a resto! damn! for the quality and the price, this is pretty much a winner.